“Meth and Its Destruction on the Body” was written by Lakeland Behavioral Health System clinical team member, Erica Smith, M.A., NCC. Erica has several years of experience working in the treatment field as a clinical therapist and has her Master’s Degree in Clinical Counseling Psychology from the American School of Professional Psychology. Lakeland Behavioral Health System (http://www.lakelandbehavioralhealth.com) is a leading provider of mental health and addiction treatment dedicated to creating life-changing results for those who entrust us with their care. We provide a unique array of programs tailored to meet the needs of children, adolescents, adults, and their families in the safest and highest quality environment possible. We know how devastating substance abuse can be on the lives of everyone involved, so we are here to help you successfully overcome your struggles and return to a life of sobriety. 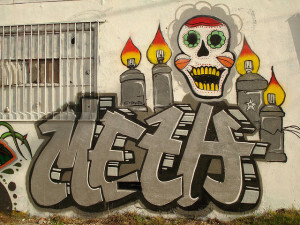 Methamphetamine is arguably one of the most destructive illicit substances being trafficked throughout the world today. It causes deterioration of the body’s blood vessels and tissues and actively prohibits the body from being capable of repairing itself. Additionally, the use of meth causes an extreme rise in body temperature, which can result in brain damage. A dangerous increase in one’s heart rate and a lowered resistance to illness can also result from meth use. So why do so many people put themselves in a position to experience such drastic health risks? The rush that people experience after using meth causes such intense and immediate feelings of euphoria and pleasure, that in that moment they are unable to think of the potential negative consequences. Some individuals have admitted to initially experimenting with using meth because it is known to induce rapid weight loss. Others simply try meth because their friends are doing it and they don’t want to be left out. Regardless of the specific reason why people first use methamphetamine, the dependency that it causes can occur rapidly and without warning. Before they know it, meth has taken over their lives and they find themselves on the downward spiral of addiction. The damage that meth causes on a person’s mind is extensive. The changes that occur can happen immediately after use or can develop over time as a person continues using. As a result of the long-lasting cognitive impairment that meth users experience, their ability to learn new things becomes clouded, and performing basic verbal and motor skills can suddenly become difficult. Methamphetamine use also damages both the long-term and short-term memory, leading to significant disruption in an individual’s life. Another consequence of using meth is the onset of obsessive behaviors. People may begin to participate in repetitive activities and behaviors for prolonged periods of time as a result of meth destroying the brain’s inhibitory control. Paranoia and aggression also often result from meth use, as does the onset of hallucinations and delusions, including feeling things such as having bugs crawling under their skin and hearing voices that are not really there. In addition to the cognitive difficulties that people using meth begin to suffer from, there is also a vast array of physical deterioration that occurs from prolonged meth use. Chronic meth users are likely to develop excessive acne. They will develop sores as a result of obsessively picking at their skin. Their bodies will become gaunt and frail. Their skin will lose elasticity, making them look many years older than they are. And, what is probably the most commonly known physical consequence of methamphetamine use, people have the high likelihood of developing what is referred to as “meth mouth.” Meth mouth consists of extreme tooth decay as the result of acids eating away at a person’s teeth and gums. If you or someone you love is struggling with an addiction to methamphetamine, it is imperative that professional treatment is received. Overcoming an addiction to meth can feel impossible for the person using. But by receiving appropriate treatment, people are able to be cared for in a safe and secure environment as they detox from the substance and develop the tools they need to return to a life of sobriety.